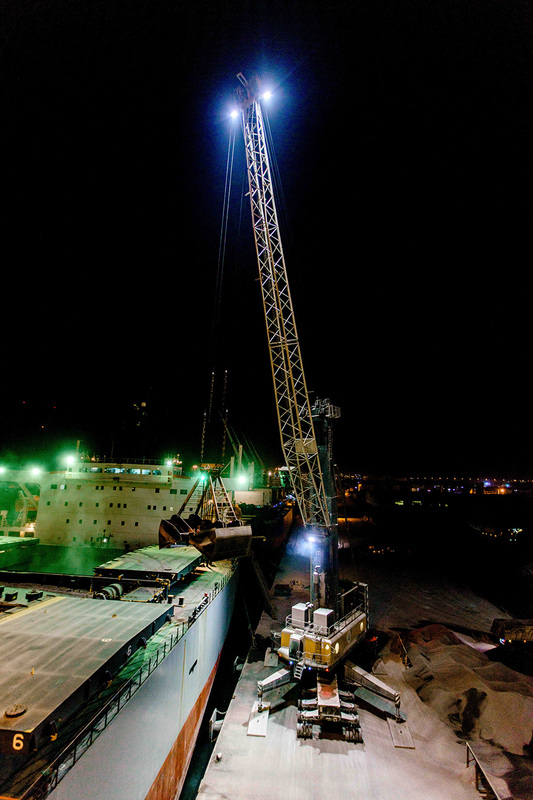 Phoenix Lighting provided RAK Ports with EcoMod 2 LED floodlights to retrofit both Liebherr and Konecranes Gottwald mobile harbor cranes. RAK Ports, managed by Saqr Port Authority, is located in Ras Al Khaimah, UAE and is a key maritime gateway for import and export activities. 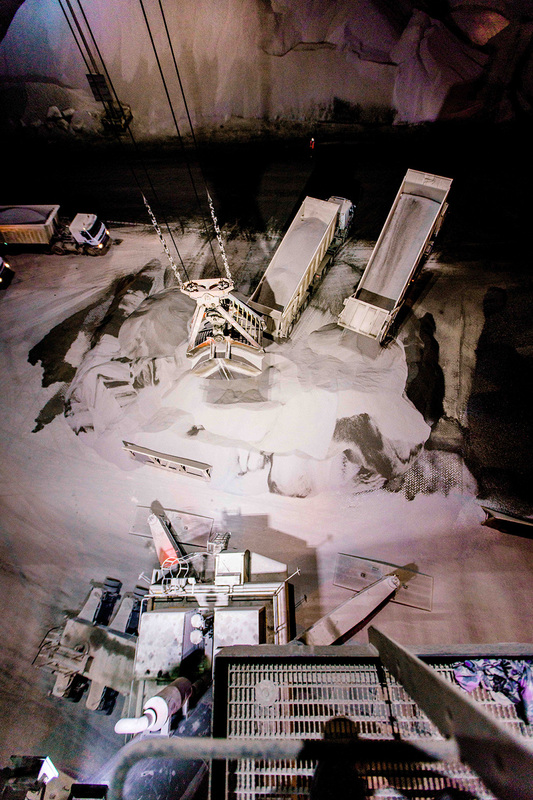 Ras Al Khaimah is the number one source for rock, aggregate and cement products in the entire GCC and is a central contributor to the local economy. 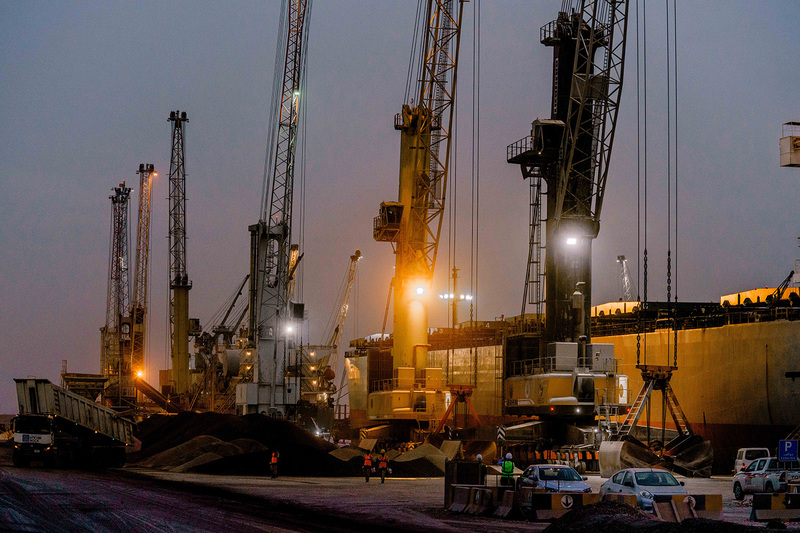 At Saqr Port, RAK Ports loads and unloads bulk vessels with a fleet of 20 mobile harbor cranes supplied by Liebherr and Konecranes Gottwald. These cranes often operate 24 hours a day within the challenging, local ambient conditions. 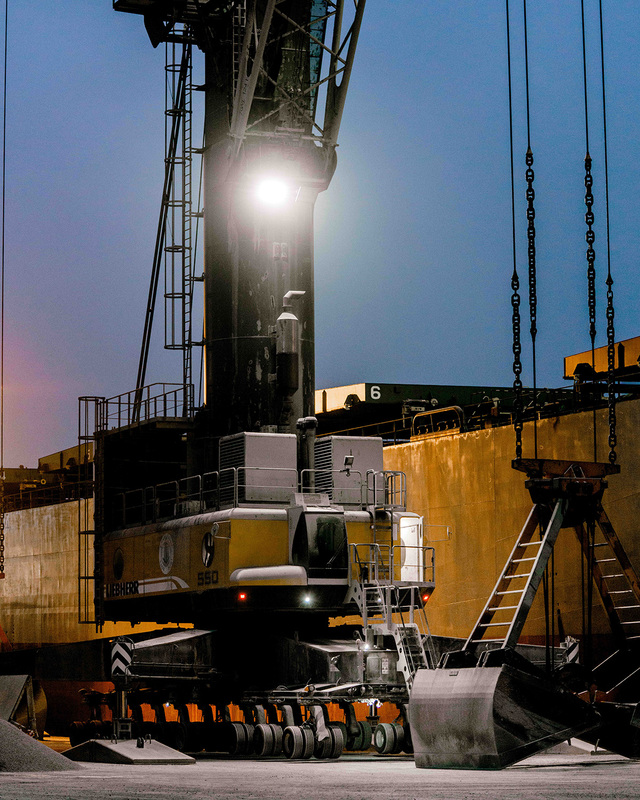 In order to improve safety of operations and reliability of crane floodlighting, RAK Ports approached Phoenix Lighting to design and supply a durable, LED lighting package. 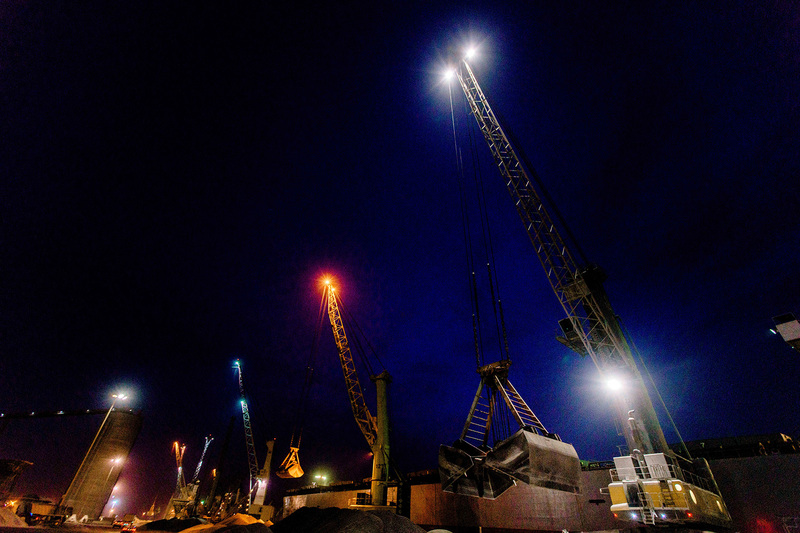 Phoenix provided customized EcoMod 2 420 and EcoMod 2 280 floodlights to replace existing boom and tower lighting on both Liebherr and Gottwald cranes. 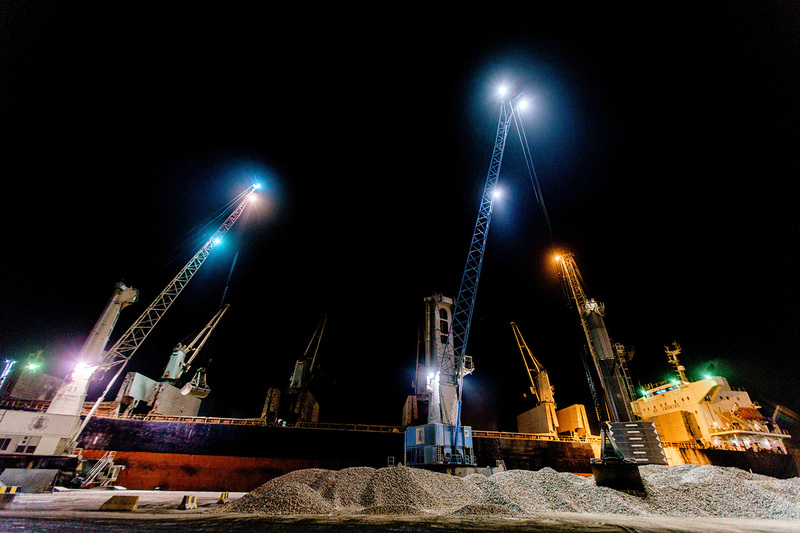 RAK Port's decision to upgrade to Phoenix LED eliminated the rising concern that replacement lamps and other repair parts wouldn't be available in the near future for their traditional lights. 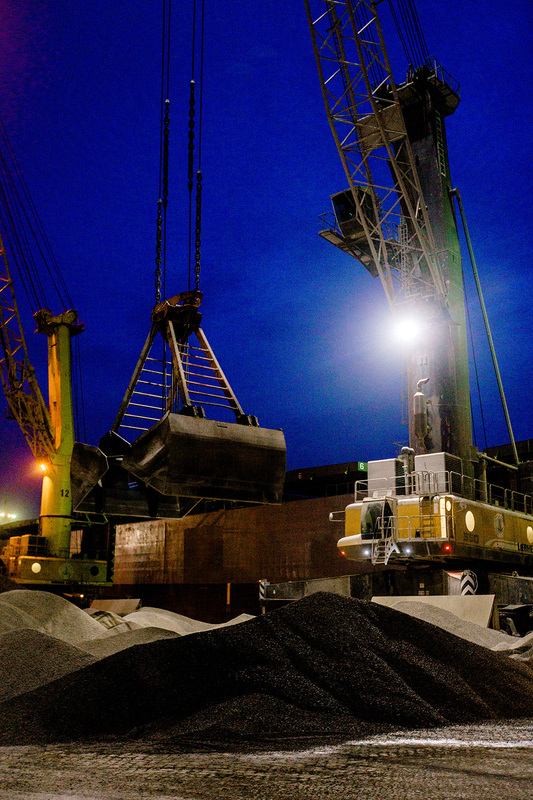 RAK also recognized the benefit of energy savings with the LED floodlights and a reduction in maintenance costs, as the EcoMod 2 is specifically designed to withstand the harsh, high temperature and corrosive conditions within a port. 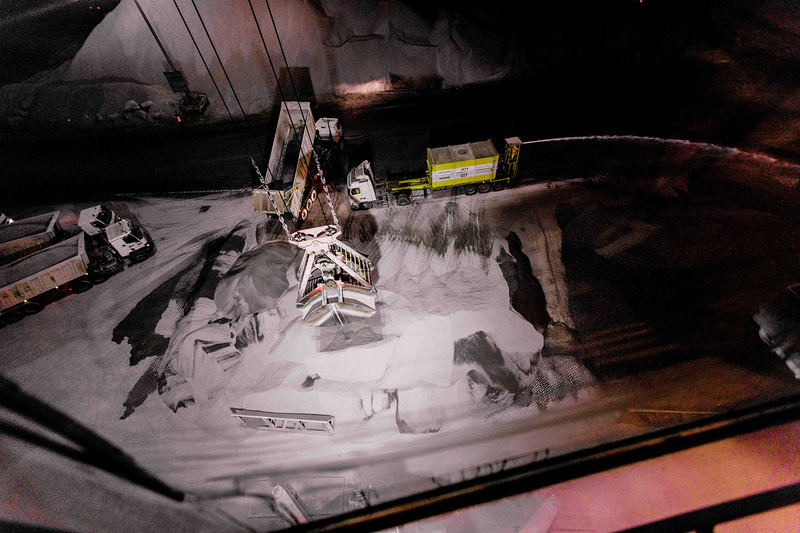 Most notably, the Phoenix LEDs improved the safety of personnel working on the quay and in the vessel. 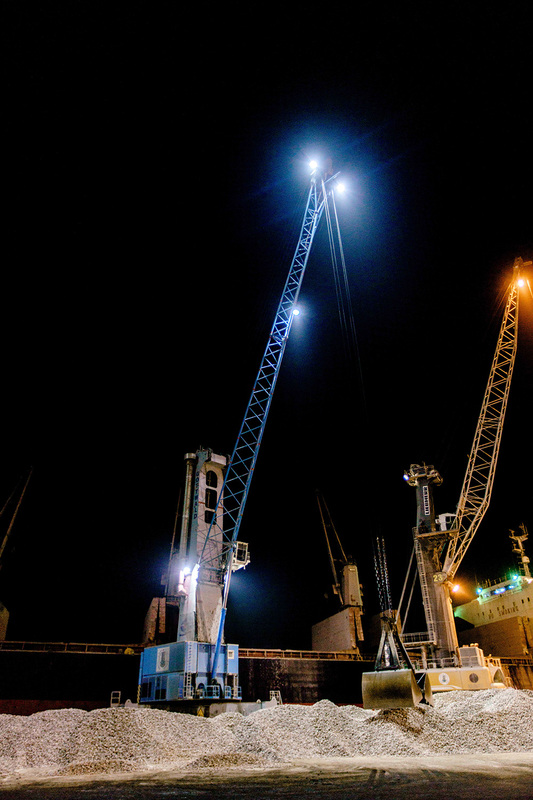 Phoenix provided fixtures with superior illumination quality and a design that won't be compromised by the shock and vibration of the cranes. 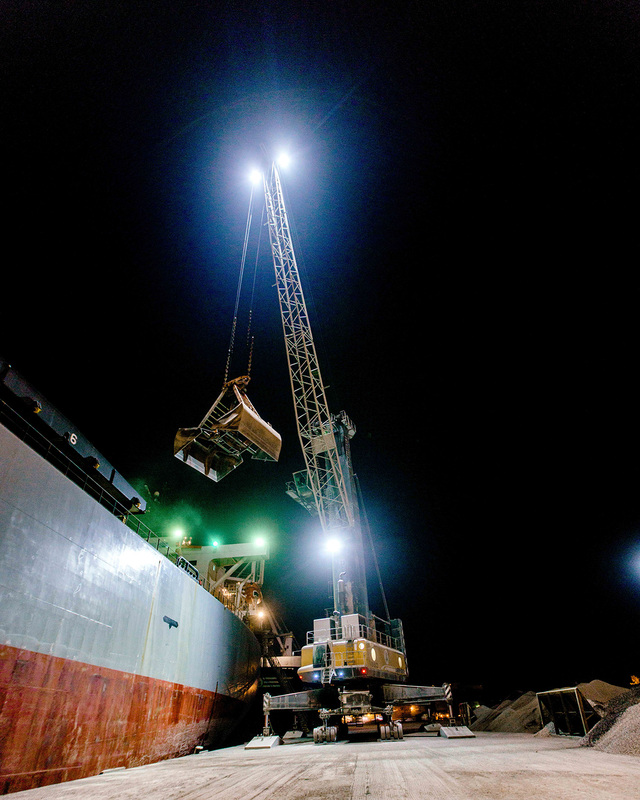 RAK Ports is happy with the safety and operational conditions that resulted from the upgrade and plans to utilize LED for future equipment lighting.